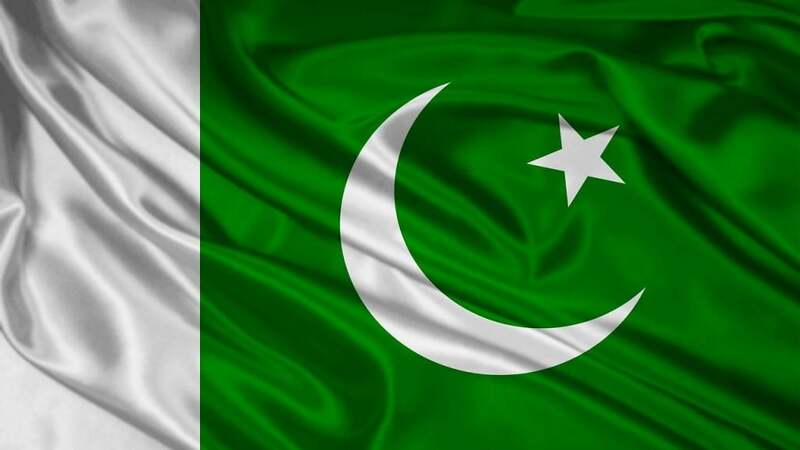 Pakistan – on Monday – recorded a strong protest with the Netherlands following the announcement by a Dutch politician for holding a competition of blasphemous caricatures. The complaint by the authorities against the Dutch cartoon contest follows the protest last week, when two to three thousand protesters threatened to pelt the Dutch embassy. Also, the Foreign Office informed that Pakistan’s ambassador in the Netherlands had been asked to “forcefully” raise the concern with the Dutch government and the “ambassadors of OIC member states.” The federal cabinet has also strongly condemned the plan of a Dutch cartoon contest of blasphemous caricatures. Additionally, Pakistan’s permanent representatives to the United Nations in New York and Geneva have also been instructed to raise the matter with the UN secretary general and other UN-related bodies, such as human rights organizations. Earlier, the authorities informed about the matter to the OIC (Organisation of Islamic Cooperation) secretary general, who in turn, lodged a protest on behalf of the bloc. The issue will also be raised in the OIC’s forthcoming meeting of the Council of Foreign Ministers. Shah Mahmood Qureshi, the Foreign Minister, will head the Pakistani delegation to raise the issue of blasphemous caricatures at the meeting. Meanwhile, the Pakistani government will continue to raise the matter with the Dutch government and at relevant international forums to prevent the competition from taking place. Last week, thousands of protesters assembled in Pakistan’s capital Islamabad. The protesters threatened to surround and pelt the Dutch embassy with stones for allowing a competition of blasphemous caricatures. The protesters succeeded in breaching several barriers, but were unable to get close to the embassy. The protesters demanded that Pakistan cut all diplomatic relations with the Netherlands. In protest of the Dutch cartoon contest, a leader of a Pakistani Islamist group even vowed last month to wipe Holland off the map with a bomb. In an event hosted by the Karachi Press Club, Khadim Hussain Rizvi, leader of Tehreek Labbaik Pakistan (TLP), warned Holland with a nuclear attack. “If they give me the atom bomb, I would remove Holland from the face of the earth before they can hold a competition of caricatures,” he said, according to Times of India, which cited Samaa TV video of his interactions with the reporters. Many Muslims see visual depictions of the prophet as blasphemous. In the past, a cartoon depicting the prophet also led to violence. In 2015, twelve people were killed after Islamist gunmen attacked Charlie Hebdo, a French satirical newspaper, for putting up cartoons of Prophet Mohammad. And, about ten years earlier, strong protests were recorded around the world after a Danish newspaper, Jyllands-Posten, posted cartoons of the Prophet Mohammad, including one with a bomb in his turban. In June, Dutch MP Geert Wilders announced the Dutch cartoon contest later this year at his party’s parliamentary offices. Wilders revealed that the counterterrorism agency has also approved his plans. “Dutch Counter-terrorism Agency NCTV gives green light to Muhammad cartoon contest in secured PVV quarters of Dutch Parliament later this year,” he tweeted earlier. The tweet got mixed reactions with some supporting the event, while others questioned the wisdom of such a competition. The Dutch MP is known for his anti-Islam rhetoric, and previously, has raised a voice to ban the Quran. Wilders previously has attended several events and exhibits – usually referred to as free speech events – that are aimed at mocking the prophet. In 2015, the Dutch MP was a keynote speaker at a Mohammed cartoon contest in Garland, Texas. Later, Wilders showed the slideshow from the Texas exhibition on Dutch television. At the time, he claimed that he had been barred from the parliament from exhibiting the cartoons. The Dutch Cartoon Contest will be judged by Bosch Fawstin – the American cartoonist who won the controversial Texas competition.